From a successful jewellery designer to artist with over 25 year experience in the field, Elaine Moore now comes to you via the internet. 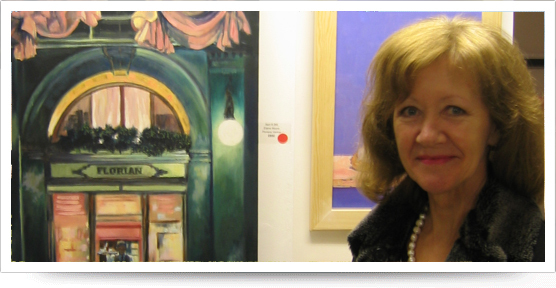 Elaine's paintings and jewllery have been exhibited in various places around the world and now you can view them online. Please feel free to look around the site, in particular the gallery and see what only select galleries have been displaying over the last quarter of a century. I have just used Elaine Moore's paintings as a school lesson to my pupils. Such attention to detail can only be classed as brilliant. Karen Stickney, Head of Art.